The island is the most north-westerly of the Canary Islands and the third smallest one. 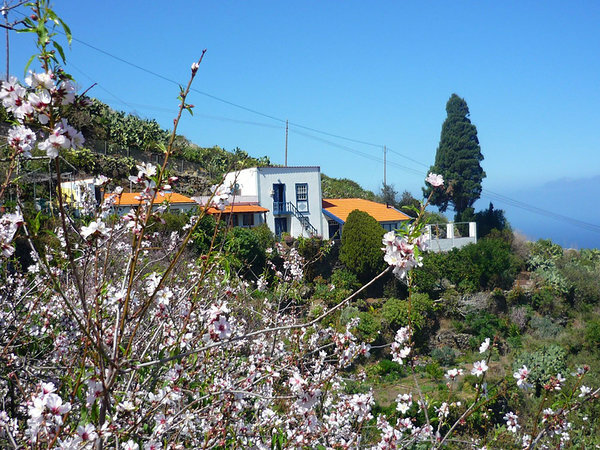 La Palma welcomes you with an extraordinary and diverse natural beauty, unspoilt cities and towns, warm people and a plethora of options to organise your holiday or your stay. The island is also known as “The beautiful island (La isla bonita)”, “The green island (La isla verde)” or even “The star island (La isla de las estrellas)” and none of those epithets are exaggerating: A small paradise awaits you! 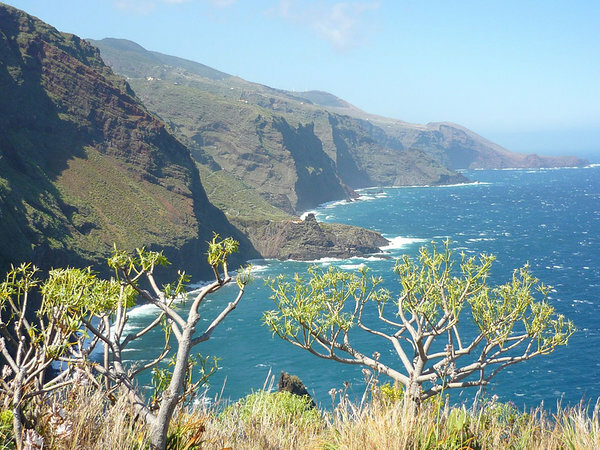 Special mention to the climate that La Palma shares with the other Canary Islands. It is rightly described as “un clima benigno” (a benign climate): all year round it feels like spring, with temperatures ranging from 20-25 degrees Celsius during the day and mild nights, rainfall is usually limited. At higher altitudes the air is cooler, but never cold. The driest place of the island is the South and Southwest while the greenest and most humid area is in the North and Northeast. Like the rest of the Canary Islands, La Palma is volcanic in origin and is very mountainous. The highest altitude on the small, roughly 30×70 km big island is the Roque de los Muchachos, with its approximately 2400 meter. Steep slopes and deep valleys define the scenery. Especially impressing is the erosion crater of the “Caldera de Taburiente” with a diameter of 9 km and slopes of up to 1200 m. The South shows extensive lava fields and landscapes that remind of the moon, while the North houses dense cloud forests and pine woods, as well as the unique dragon trees due to the rich water deposits in this part of the island. And the sea is always present, either in the distance when looking down from a few hundred meter or while enjoying it on one of the beautiful black sanded beaches. 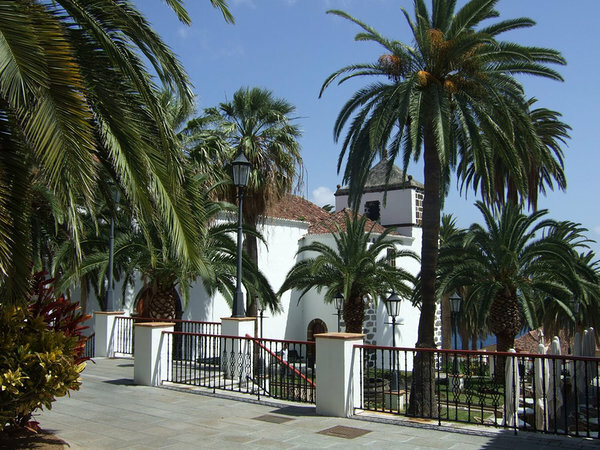 Besides the two main cities of Santa Cruz and Los Llanos de Aridane, La Palma has another 12 towns, some of them still very rural. 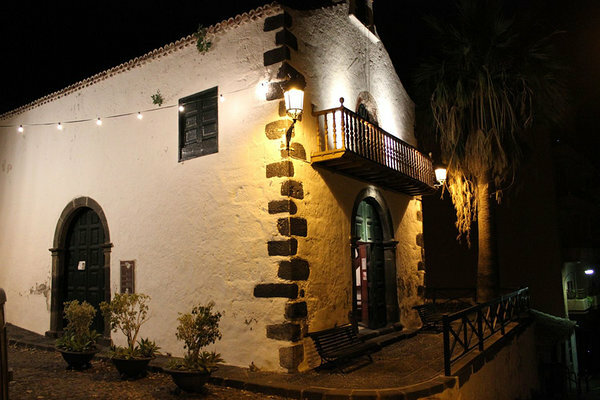 The most far reaching year in the history of La Palma was surely 1493, when it was conquered by the Spanish, who had great interest in ruling over the Canary Islands due to strategic reasons. With that, the time of the original inhabitants, the Benahoaritas, that had lived in small groups on the island they called Benahoare came to an abrupt end. La Palma became a strategic station in the marine trade with America, the port of Santa Cruz one of the most important ones of the Spanish Empire. Again and again, the island had to face the challenge to trade so that the inhabitants could eat. The traded goods were first sugar and wine, then silk fabrics and the red dye obtained from cochineal, later on and still in our time the delicious bananas (plátanos), which are the main economic sector, even over the tourism industry. Throughout the centuries, many Palmeros had to leave the island because of the low future prospects, migrating to Central and South America. Some returned to the island after having made a fortune and built colonial style homes and estates. Nowadays, around 80 000 people live on the island, including many foreign residents and immigrants.